Our Wilmslow office is managed by Markus Jolleys, Director and Peter Higham, Operations Director who between them have over 45 years’ experience in the residential property market. Peter has worked in the Wilmslow property market for many years and is a well-known face locally. He was delighted to be joined by Markus in 2013 to assist with the running of Gascoigne Halman’s largest and busiest office. Both Peter and Markus are Members of the National Association of Estate Agents and they are backed by a team of qualified and experienced members of staff - Lucy, James and Lewis. Whether you are buying or selling, the team is on hand to discuss your personal requirements. With over 17 years’ experience as Lettings Manager of Snape Residential Lettings, Heather has excellent contacts and strong relationships with landlords, tenants, re-location companies in our area. 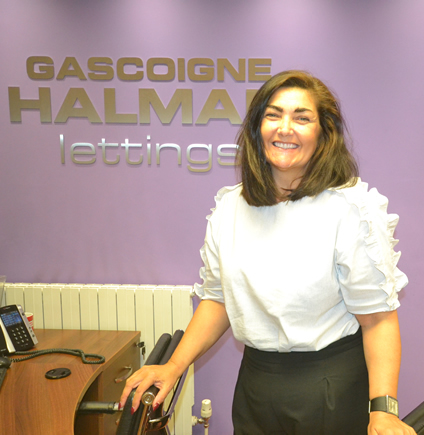 Along with her lettings team of Julia, Pauline, Jan and Sam, provides clients with an exceptional service across the business. Wilmslow falls within the political constituency of Tatton, represented by George Osborne the former Chancellor of the Exchequer. 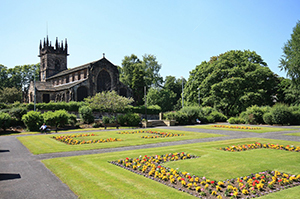 It is one of the most affluent constituencies in the UK and is well known for having many famous residents, notably footballers and stars of Coronation Street. However, it also boasts many historical connections, including the discovery of Lindow Man in Lindow Moss. Preserved in the peat bogs for 2000 years, Lindow man is one of the most important Iron Age finds in the country. Like many other towns in the area, Wilmslow benefited hugely from the growth of the cotton industry in the 19th century, and the town’s close connections to the Industrial Revolution can be seen in nearby Quarry Bank Mill, now a National Trust site and one of the best preserved textile mills of the Industrial Revolution. It’s not only home to footballers and TV stars- one of Wilmslow’s most notable past residents is Alan Turing, the driving force behind the Bombe machine for cracking the German Enigma cypher during World War II. Situated at the top right hand side of the county of Cheshire, Wilmslow is just under 13 miles due south of Manchester City Centre. Transport links from Wilmslow are excellent with the motorway network being easily accessible, Manchester International Airport within a short drive and Wilmslow train station offering good commuter links including direct access to London Euston in around two hours. Excellent local schools in the area include Wilmslow High School and several independent schools. The town boasts numerous primary schools including Gorsey Bank School, Ashdene Primary and private schools including Pownall Hall School and Wilmslow Preparatory School. Local secondary Wilmslow High School regularly receives outstanding Ofsted reports, and further afield, schools including Altrincham Girls’ and Boys’ Grammar schools, Alderley Edge School for Girls and Cheadle Hulme School regularly take pupils from the Wilmslow area. Shopping is a delightful experience in Wilmslow, which offers a wide range of shops including numerous designer stores and Hoopers department store. John Lewis and a large Marks & Spencer are within a short drive along the A34 by-pass. 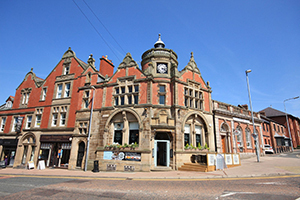 A variety of restaurants offer a varied eating experience in both Wilmslow and Handforth, which is only a five minute drive away, and there is an excellent selection of bars and cafés. Mobberley, again only a short drive away, offers some superb country pubs. Wilmslow also has its own Leisure Centre offering a wide variety of sporting activities and there are numerous private sporting clubs and golf courses in the surrounding area. 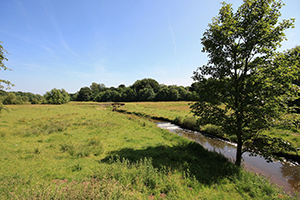 For those more interested in rural pursuits, there is delightful countryside on your doorstep with walks along the Bollin Valley, Lindow Common The Carrs Park and The Edge all close by and delightful destinations such as Derbyshire and The Peak District within an easy drive. Diversity of properties ranges from starter homes through to family properties with a choice from mews, semi-detached and detached right into the higher range of bespoke detached properties. A close proximity to delightful countryside, an excellent shopping experience including a fine array of designer stores, a variety of restaurants, cafés and bars and excellent transport connections all go to make Wilmslow one of the most sought after places to live in the UK outside of central London, and not just for footballers and TV stars.